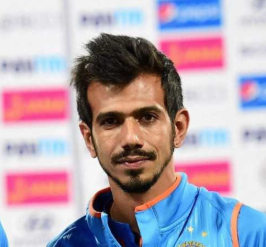 Just two years since he made his India debut, and Yuzvendra Chahal has become one of the top spinners in the world. But before he started spinning out some of the best batsmen in the world, the cricketer was a junior national chess champion, and is now an income tax officer too. So to know more about Yuzi (also called Tilli by MS Dhoni), we asked him 20 questions. Playing in India or abroad? Why do you prefer playing in India? Favourite team to play against? Best thing Dhoni said to you from behind the stumps? He always calls me Tilli. Whenever I’m bowling, he advises me, and says ‘Tilli bowl this’. He always uses Tilli. One thing you like about Virat? Is gym your friend or enemy? Now it’s a friend. It felt weird earlier. I work out separately. My exercises are different from the others’. Virat is there, Mahi bhai doesn’t come anymore but there’s also Hardik. I like working out with Rahul too. One food you can’t stop thinking about? In the Indian cricket team, you obviously have to be strict about your diet. Are you strict about your diet? No. I can eat anything, especially butter chicken. Everyone knows you were a chess champion before you started playing cricket, and now you’re an income tax officer. But if you didn’t become a cricketer, what would you be doing? I would have joined the army. My uncle is in the forces, and it’s a different feeling. When the national anthem players before the match I get goosebumps. Who’s the one cricketer you go to advice for? Who’s your 3 am friend? Hardik (Pandya) is there, KL Rahul and I could call Rohit bhaiyya too. Favourite moment in your career so far? The 6 wickets that I picked against England at Bengaluru, which happens to be my favourite ground. Any particular wicket taken by you that you often remember? Angelo Mathews’ wicket in December 2017 at Visakhapatnam. It drifted from middle stump, and hit the off-stump. One of my best deliveries. Which batsman do you not like bowling to? There’s no one particular person. What do you like to do off the field? When I’m with my friends, we mostly play FIFA on the Play Station. If not that then, I go play snooker and recently started playing golf too. One main goal in life? I want to play for India for 10 years. So that’s what is going on in my mind, that I keep playing for the next 10 years.